Anke Merz left her job as a global brand manager at Procter & Gamble in London in December 2002 after seven years with the company. She loved the work but wanted to return home to Germany to be closer to her husband, who had remained there while she spent more than three years abroad. Thirteen months later, in January 2004, Merz gave birth to a son, Alexander, and chose to be a stay-at-home mother for a time. Merz, 38, says she plans on returning to work at some point, although she knows this won’t be easy. It is not that it will be hard to find a full-time position, given her work experience; rather, Merz would be hard-pressed to find facilities to take care of Alexander, now 3, while she holds a demanding job that requires flexibility and frequent travel. Thousands of other mothers are in Merz’s situation. Although the German government provides citizens with a generous family-leave policy, being a working mother in Germany is harder than in many other industrialized countries, according to faculty members at Wharton and German business schools, as well as German corporate officials. This is partly because the culture still, to some degree, frowns upon the idea of mothers not taking care of their small children at home. As an old German expression puts it, the responsibility of women is “Kinder, Küche und Kirche” (children, kitchen and church). But the chief reason for the problem facing mothers is that there is not much of a child-care infrastructure in place to cater to working mothers. Historically, the German school system has been structured so that boys and girls — from Kindergarten though high school — were dismissed around mid-day. This is still largely the case. Chancellor Angela Merkel, who does not have children, has acknowledged that making it easier for mothers to hold jobs is a key national issue because the country has been beset by a declining birth rate since the mid-1960s — a problem that has grown more acute in recent years. On January 1, a government program that offers financial incentives to encourage working women to have children went into effect, but it remains to be seen how successful this program will be. Martin Hoegl, chair of leadership and human resource management at the WHU-Otto Beisheim School of Management in Vallendar, Germany, says he does not see “a general cultural sentiment against working mothers,” noting that the former East Germany, under the Communist regime, had very high levels of women in the workforce, mainly because the government encouraged them to work. Moehrle adds that this view is held by a large percentage of women themselves, not just many men. He says any number of successful women have appeared on TV shows and written books discussing how they deliberately chose to make the decision to stay at home with children, and that this does not mean they are out of step with the times. If some women in Germany are still wrestling with this issue, the situation in other European nations is decidedly different. Among the most frequently used types of day care in France are crèches for children under three years. There is no legal right attached to this type of day care, and costs run between about $395 and $450 per month, depending on the community parents live in, according to Schneider. For children three to six, there are pre-schools known as écoles maternelles, which are free of charge and voluntary. However, since they are part of the national school system, parents have a legal right to their use. “Both types provide, if needed, all-day child care,” Schneider explains. “In France, the strong role the government plays in child care — and the school system in general — is viewed as normal. Indeed, it is expected. This allows French women to fully integrate into the workforce.” France has the oldest tradition — going back to 1881 — of all-day schooling in Europe. Today, all French school students, from pre-school to high school (lycée), go to all-day schools. Although the half-day school is still dominant in Germany, public sentiment in support of all-day schools is rising, Schneider notes. Currently, about 1,600 all-day schools operate in Germany, with the highest concentration in Berlin (eastern Germany), and in North-Rhine Westphalia and Rhineland Palatinate (western Germany), according to government figures. The growing sentiment in Germany for all-day schools may have something to do with the fact that an ongoing study by the Organization for Economic Cooperation and Development — called the Program for International Student Assessment, or PISA — shows that students from countries with all-day school systems, such as Finland, Sweden and Canada, scored higher than students from half-day school systems, according to Schneider. Merz, the former P&G brand manager, says that if a mother wants to start working when her child is, say, three months old, the mother might seek a place for the infant in a Tagesstätte, a privately run day care of which there are few. Otherwise, she would need to hire a Tagesmutter, a nanny who does not live in the home with the child. Typically, both offer services only until 4:30 or 5 p.m. Some may take care of a child for additional hours, but that would cost more. If the mother is a professional and works very long hours, which is not uncommon, she would have to find another person to cover that extra time. An au pair or nanny would provide the most flexibility, but they can be expensive. At age 3, all German children have a legal right to a place in a kindergarten, but, again, these schools are not much help to working mothers since most are open only half a day. Moving to take up some of the slack in day-care are several of Germany’s biggest companies — Deutsche Bank, Siemens, Volkswagen, DaimlerChrysler and others — which provide facilities to look after children while their mothers work, Schneider says. Germany has made progress in closing the gender gap but Merkel has said that more must be done. The statistics seem to support this view. According to a 2006 study by the Switzerland-based World Economic Forum, Germany ranked a lowly ninth among 58 industrialized and emerging-market countries on a scale intended to measure the overall extent to which women have achieved equality with men. By comparison, France ranked 13th and the United States 17th, while the Scandinavian countries occupied the top spots. The overall score took into account five categories: economic participation, economic opportunity, political empowerment, educational attainment, and health and well-being. Germany’s overall ninth-place rating reflects, in part, the fact that the country ranked only sixth in the area of women being politically empowered and 10th in health and well-being. 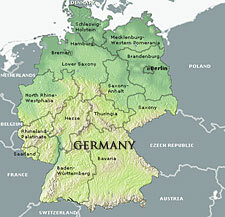 But Germany ranked 28th in economic opportunity, 20th in economic participation and 34th in educational attainment. According to statistics compiled by the German government, 11.6 million women aged 15 to 64 were working in 2004, the latest year for which figures are available. Of these 11.6 million women, 7.4 million were working mothers. Only 5% of women say they want to be housewives long term. And a report released in 2006 by the Federal Ministry for Family Affairs, Senior Citizens, Women and Youth — also citing data from 2004 — says that 45% of all employees in private-sector companies were women. Of all employees in public service, 63% were women. Only 24% of “senior management positions” in the private sector were held by women in 2004, as opposed to 41% in the public sector, according to the ministry. The ministry did not define the term “senior management,” however, so it is not known just how high-ranking these women were in their companies. In German corporations, which do not use titles such as senior vice president, members of management boards are generally the equivalent of senior executives in U.S. companies. Moehrle of Detusche Bank notes that government policies regarding working mothers — despite all the good they do — have a perverse downside: They do not do much to help professional women stay on an upward career trajectory. Observers say that government and corporations have little choice but to push ahead with efforts to ensure that working mothers have ample opportunities to hold good jobs if they want them. Part of the reason is that Germany needs children. It has a low birth rate of 1.37 children per woman. By comparison, France’s birth rate is 1.9 and Sweden’s is 1.75. The Elterngeld program has an added attraction intended to give both parents roles in helping working mothers: If the child’s father stays at home for two months once the mother goes back to work, the parents’ money will continue for an additional two months and can reach a total of 25,200 euros, or about $33,235.